Experts have acknowledged the need to begin keeping dirty fuels in the ground to protect our climate from the harmful effects of carbon pollution. Bold action to keep dirty fuels in the ground is also a key, absolutely necessary step in order to meet our international climate commitments made in Paris by the Obama administration. However, under President Trump, the federal government is exacerbating climate disruption by leasing our public lands and oceans for dirty fuel extraction -- destructive activities like coal mining, fracking, and oil drilling. It's clear that selling off fossil fuels on public lands -- including offshore drilling -- is incompatible with what scientists are telling us needs to be done to prevent climate catastrophe. Take action today to urge President Trump to protect our climate by ending fossil fuel leasing under our oceans and on public lands. By clicking continue, you will also receive periodic communications from the Sierra Club. You can unsubscribe at any time. By providing your mobile number you consent to receive cell phone and text communications from Sierra Club and its affiliated entities concerning environmental news and action opportunities. I'm writing to demand that the Trump administration continues the progress started under the Obama administration to address the climate crisis. One of the most important actions this new administration can take to protect our climate is ending destructive fossil fuel leasing from under our oceans and on public lands. 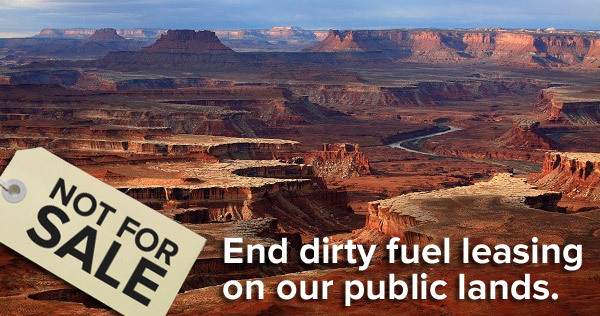 Approximately 25 percent of U.S. fossil fuel extraction comes from public lands and waters. At a time when scientists are warning us that at least two-thirds of all fossil fuels must be kept in the ground to prevent climate disaster, it's clear that selling off fossil fuels under our oceans and on public lands is incompatible with our international climate commitments. The Obama administration can be proud of the historic work it did to protect us from climate-damaging carbon pollution, and for the amazing progress our nation made in wind and solar power. Given the threat to our air, water, climate, and communities, Americans are now counting on the new administration to continue investing in the future, which means keeping dirty oil, gas, and coal in the ground, while doubling down on clean, renewable sources of energy like wind and solar.